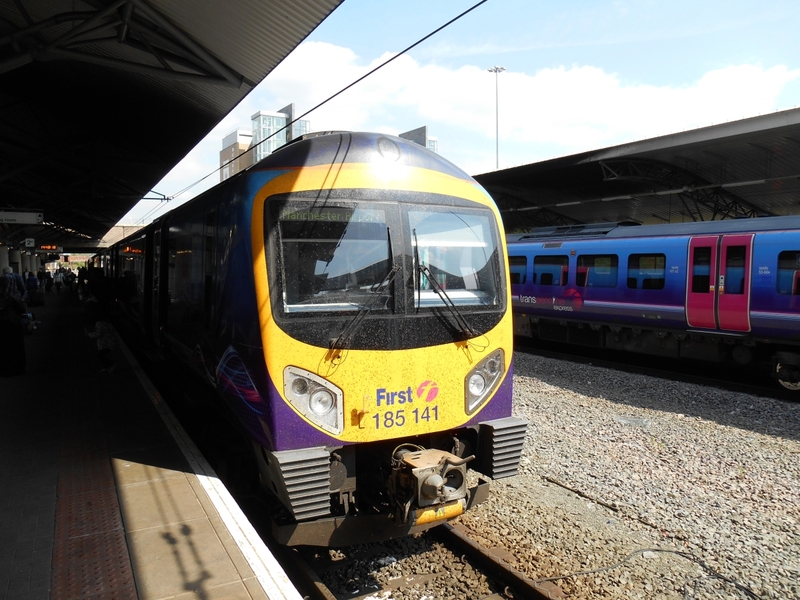 The Transpennine Express service is an Intercity train service that connects various towns, villages and cities across the Pennines in the North of England. It also offers a regular train service to Manchester Airport throughout the day. If you are wishing to travel by train throughout the North of England, then the Transpennine Express train service is the perfect choice for you and will offer a service to suit your needs and requirements. Doncaster, Hull, Leeds, Liverpool, Manchester, Newcastle, Sheffield and York. There are approximately 300 services in operation every single day which serve over 100 stations. These services connect passengers across the Pennines and further afield to Scotland. The First Transpennine Express service offers passengers the opportunity to travel First Class. The First Class section of the train is usually located in Coach C and C&F. Any passengers wishing to travel in the First Class section of the train must hold a valid ticket that allows them to travel First Class. The First Class carriage are clearly marked on the doors of the tarin and also on the head covers of the seats. The benefits of travelling First Class include complimentary tea, coffee, water and Biscuits. Please Note: This only applies on services that has catering provided. If you wish to take your bike on the train, you should call and ensure that there is space available for the time of your travel. Each train has 2 designated spaces for bikes and if you do not pre-book your space for your bike in advance, you can turn up on the day but it is purely on a first come first served basis. The student railcard is a great way to save money on your rail travel. And this can be used for journeys on the Transpennine Express. If you are aged 16-25 or over and in full time education, you are eligible for the Student Railcard. Railcards are a great way for passengers to save money on their rail travel. There are several railcards available for several different groups of people. All of the railcards offer big savings on your train travel as well as additional saving on tickets for events, attractions, restaurants and days out. 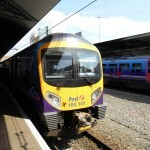 The Transpennine Express operates a train service that connects passengers direct with Manchester Airport from a large number of towns and cities in the North of England. The airport service is a great way to travel to and from the airport without the hassle of driving and parking. The service runs at regular times throughout the day and night during both week days and weekend. This service is perfect if you wish to travel to the airport and then stay at one of the Manchester Airport Hotels close by. Below is a list of train station that the Transpennine Express train serve. Many of the stations above are part of the famous Transpennine Ale Trail. The Transpennine Express train network covers over 20 football grounds throughout the North of England and these include Premiership and Championship teams such as Manchester United, Liverpool, Newcastle, Leeds United, Huddersfield, Sheffield Wednesday and Sheffield United. Other lower division clubs such as Halifax and York are also on the network. If you follow football, these train routes and services could be the perfect option for your travel to and from the games. Some of the UK’s top Northern holiday destinations are covered on the Transpennine Rail network. Great destinations such as the Lake District, Scarborough and Blackpool can all be easily accessed by train. If you are thinking of visiting any of these destinations for a holiday or short break, it is worthwhile taking a quick look to see if there are any special offers or deals available for the dates you wish to travel. It is now possible to connect to FREE unlimited WiFi at a select number of train station on the Transpennine Routes. If you wish to use the FREE WiFi at any of the station, you need to look for the ‘O2WiFi’ signs. There are several different types of tickets available for travelling on the Transpennine Express trains and routes and obviously the prices are determined by many different factors. The routes, times and dates of travel, age of person(s) travelling will all have a an influence on the price you pay for your train ticket(s). Travelling at ‘Off Peak’ time will also be cheaper than travelling at ‘Peak’ time and these are all factors that you yourself should take into consideration when planning your journey. Children: Up to 2 Children under the age of 5 can travel FREE of charge when accompanied with a passenger holding a valid ticket. As with most travel services, the sooner you book, the better deals you get and if you pre-book your Transpennine Express train tickets in advance online, you will receive the best deals and can save over 50% on your train tickets. Booking your tickets online is very simple and you can then collect your tickets from the train station on the day of travel. If you book your tickets online, you will need to take the same credit or debit card to the station that you used to purchase your tickets, in order to collect them.